In this quick tutorial, we'll learn how to use this nifty little component in our React app, and gives some sample code along the way. In my first Stencil post, Introduction to Stencil, I showed a collapsible panel component snippet. 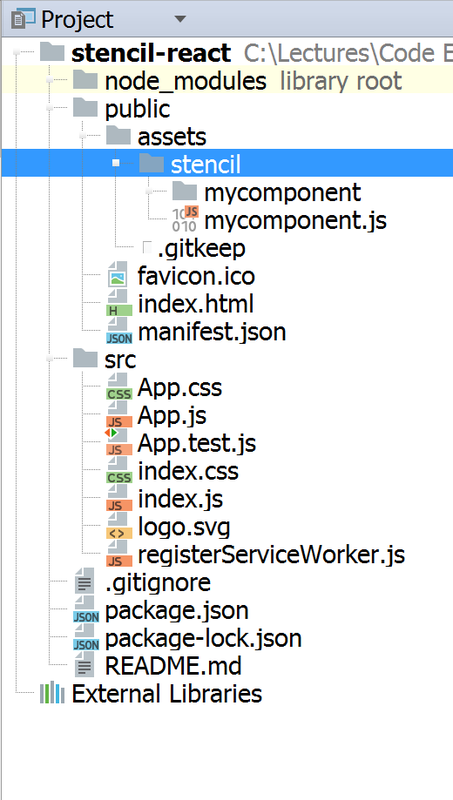 In this post, I'll use that component in a React app. The first line will install create-react-app generator globally on your machine and the second will generate the stencil-react app skeleton. Note: Adding the component code can also be done by importing a node module, adding a script that exists in a CDN, etc. For simplicity, I just added the whole component code. As you can see, I'm using regular React code and binding it with the Stencil generated component. Nothing special. In the render function, I added the collapsible panel and bound its title to the React component collapsibleTitle member. I also added a ref attribute to enable the toggle function to toggle the panel from the outside. Consuming Stencil components in React apps is as simple as adding the component script and just using it. Stencil can also be consumed from any other frameworks including Angular, Vue, or Polymer and this what makes it super powerful. You can find the app code here.